"Ultimately, the music video leaves us with one amazing feeling: community," says Anie Delgado of Popdust in the website's premiere coverage of "Forgetting About Me," the first music video from Mark Bryan's recently-released third solo album, Songs of The Fortnight. #TBT Throwing back to just a week ago! Mark Bryan of Hootie and the Blowfish in the Paste tape vault performing some tunes and in conversation with Hilary Saunders. Mark's new solo album Songs of the Fortnight ("Steady, whimsical optimism." - MAGNET) is out now via Chucktown Music Group. Songs of the Fortnight by Mark Bryan is out this Friday, August 11th. Record release show at The Windjammer in Charleston, SC on Thursday. Read all about it courtesy of this piece from The Post and Courier. "A driving, full-on pop masterpiece." Popdose reviews new Mark Bryan LP. 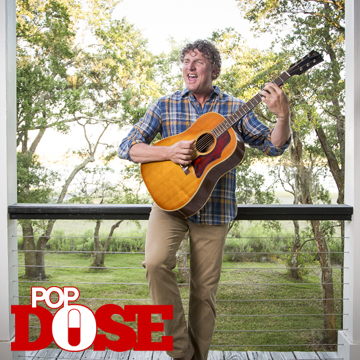 "The album’s lead-single, 'Forgetting About Me' has a swirling keyboard that reminds me of Cheap Trick’s 'Surrender,' a driving, full-on pop masterpiece," says Popdose in its rave review of Mark Bryan's Songs of the Fortnight, out Aug. 11 via Chucktown Music Group. Mark Bryan covers Scruffy The Cat with special guest Peter Holsapple of The dB's on harmonica! Check it out over at Cover Me. Mark Bryan's Songs of the Fortnight arrives on Aug. 11th in a beautiful 180 gram LP edition mastered by Vlado Meller Mastering. Check out the Hootie and the Blowfish co-founder and guitarist chatting about his love of vinyl with The Vinyl District!